Keywords are one of the oldest forms of SEO strategy that keeps getting better. It is interesting to note that keywords are essential when trying to excel in organic and paid searches. In years gone by, there was a time that generic words can be used to get more results because the internet was still new and not a lot of websites published content as often as is done nowadays. A long tail keyword, just as the name suggests, is a string of words that have a more specific and relatively low search volume. This may have higher benefits for low authority websites when compared to short tail keywords that are usually one or two words with a very high search volume and high competition for ranking. These kinds of keywords are primarily used to target a very niche market, people who are very clear about what they are looking for. This way, brands can focus more on attracting a specific set of target audience and ensuring that the content used to market to them is convincing enough to lead to a conversion. Using long tail keywords can improve the ranking of brands on search engines and also boost their online presence as well as brand visibility. To create long tail keywords, start with short tail keywords and add more relevant words to it to make it more personalized. For instance, “buy women’s shoes” is a short tail keyword and if you enter that in your search tool you will find quite a lot of websites competing for that match. You can add more words to it such as: “buy Italian wedge shoes for women” or “buy Italian women’s wedge shoes on clearance sale” or “buy Italian women’s wedge shoes wholesale”. Creating long tail keywords like these from a short tail keyword is one easy to play around both primary and secondary keywords relevant to the brand. Another way is to mix a generic word with a headword and create a long tail keyword. To create this more efficiently try to think of the user or think like the user. Ask yourself this, “If I were to be a user in need of XYZ, what are the words I would use when searching for XYZ item? For instance, “digital camera” is a generic keyword (generic because they are not specific enough and highly competitive). “Canon” is a headword (because it is a much stronger keyword than “digital camera”). Now, when you take these two words (thinking like the user), you can come up with long tail keywords like “where to buy a Canon T3i digital camera”, “how to set up a Canon T3i Digital camera”, and so on. The concept is to ensure that the long tail keyword is well balanced in order to draw a reasonable amount of traffic from the generic word, headword and other supporting words. This balance should be specific enough to make it rank high on the search engine results page (SERP). 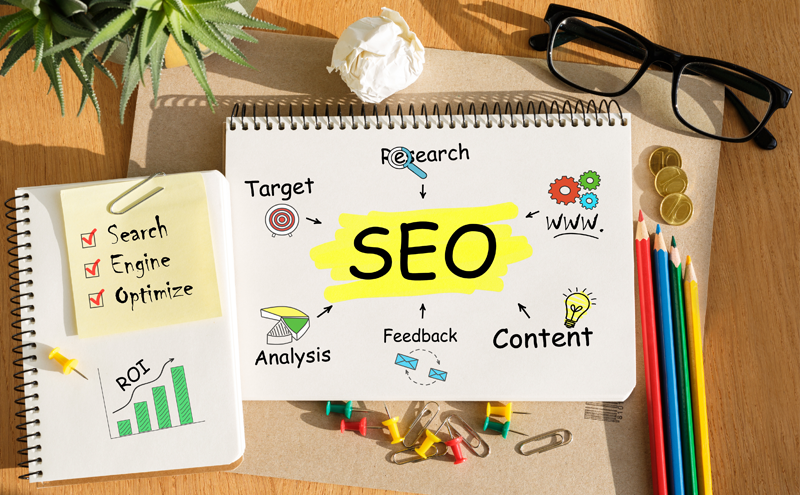 If you are confused about how to create long tail keywords, the professional assistance of an SEO marketing agency will certainly come in handy. Here are a few benefits you are bound to receive. If you have put a lot of funds into marketing your business on search engines for certain keywords, using a long tail keyword rather than random or general one or two keywords would be more effective in boosting the SEO of your website. Most online advertising platforms offer pay per click or pay per impression, and you want to ensure that the right people are seeing your advert or clicking on the links. Otherwise, you would be paying heavily for marketing with poor returns on it. Using long tail keywords helps brands direct the right target audience to their adverts and receive more returns on marketing investments. This allows them to lower the cost of paying per click, increase click-through rates as well as get more reasonable conversions. Also, the cost of acquiring a customer through long tail keywords is relatively cheaper and this invariably reduces the cost of marketing while increasing ROI. While paid search advertising is great for driving traffic to a website or selling products or services immediately to the target audience, organic traffic is way more rich in terms of the quality of the visitors. This is because these visitors stumbled on the website because they were searching for something (through certain keywords) that the website obviously has. This way they are the ones coming to you not you going to them. Organic traffic received by using long tail keywords usually leads to higher conversion rate and low bounce rate as well. This is due to the fact that these kinds of organic visitors tend to spend more time on the website (especially if they find content on the website to be satisfactory enough for their search). You may have observed that there has been an increase in the use of voice search in recent times for online searches. Because of this, search engines are actively looking to develop voice search tools. These kinds of search require long tail keywords because of the conversational tone of voice search entries. Businesses benefit from this additional search option by ranking high for voice searches. They are also able to shed some competitors who are also competing for the same regular one or two keywords relevant to their industry. They can rank higher for long tail keywords with very few brands to compete with since fewer sites are currently using that type of keyword format.